Well, she is certainly recognising your interest in heels and boots, and not doing anything to discourage you - indeed donating some of her old pairs. Can only be a good thing. Agreed - I think its more than just "not discouraging". Sounds like a nice - and meaningful - acquisition! Thank you, @HappyinHeels. I hope we're getting there. As you say - open communication is the best way of improving one's marriage (and relationships in general) - even though it may sometimes bring tension, but in meaningful relationships as marriage, one should try always be open rather than swallow and keep things inside. Like you, I really agree that these are unions worth fighting for, as I think we are 'wired' to be with spouses, and ones close to us who love care and support us. Thanks for the ever-true outlook for life! 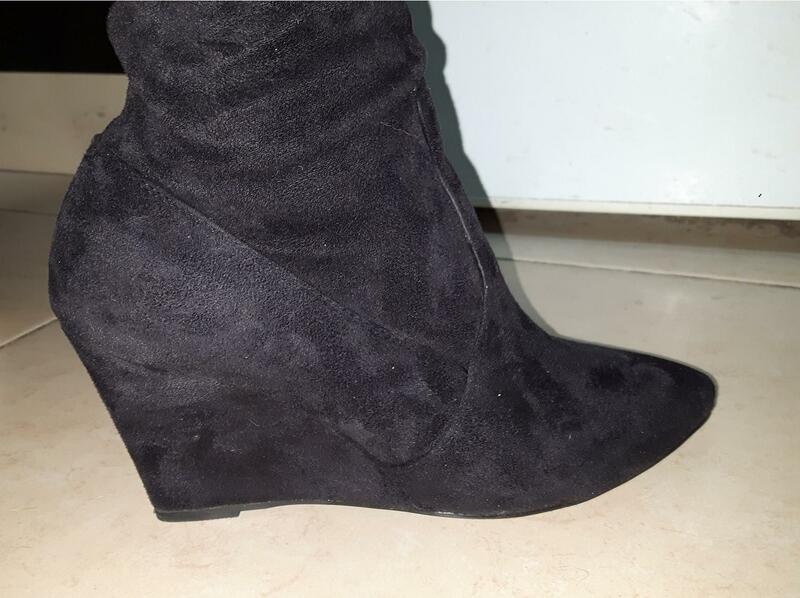 As for me, tonight I'm doing so work from home, wearing my pointed to wedge boots, and enjoying them immensely! You have a nice pair there Jeremy. Seems to be comfy and warm on feet. Thanks! Indeed very comfy and easy to wear. Also pretty quiet when walking around a house full of sleeping children! Another thing I like about this pair is the heel. 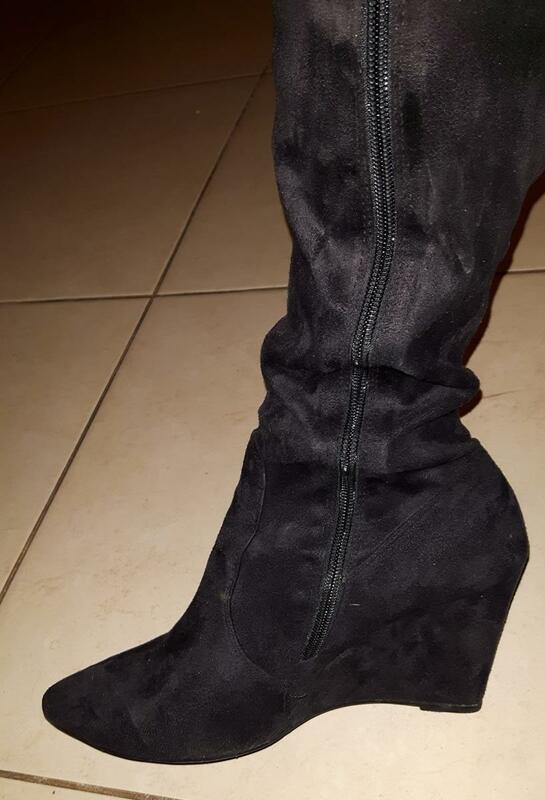 Not really visible here, but unlike most wedges that have a wide and chunky heel, these are very slender, closer to the thin shape of a stiletto, which makes them a little more stylish.